George Russell Hanks of Signal Mountain, Tennessee died on Saturday, December 1, 2018. He was born on Feb. 19, 1924, in Cedar Bluff, Al., and moved to Chattanooga a year later. He was the son of the late Annie Belle Watters Hanks and Will Clark Hanks. He was a retired Electrical Engineer at TVA with 47 years of service. He was a graduate of Chattanooga Central High School and earned a BS in Electrical Engineering from the Georgia Institute of Technology. He was a long-term member of First-Centenary United Methodist Church. He was a sergeant of World War II serving as a cryptographer in the Army Air Corps and was stationed in Cairo, Egypt; Teheran, Iran; and Manana, Bahrain. Military decorations include the World War II Victory Medal, American Service Medal, European African Middle Eastern Service Medal, and the Good Conduct Medal. Mr. Hanks was honored by the Institute of Electrical and Electronics Engineers (IEEE) receiving their Centennial Medal in 1984 and the Millennium Medal in 2000. 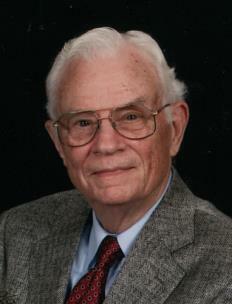 He served on the IEEE Switchgear Committee and the IEEE Power Capacitor Sub-Committee. He also served on the Substation Task Force of the Electric Power Research Institute and as an advisor to the Electrical Engineering High Voltage Laboratory at Mississippi State University. He was preceded in death by sisters Ruth Pauline Hanks and Sarah Hanks Seymour. Survivors include his wife, Joan Hill Hanks, two daughters: Jeanne (John) Balsam, Atlanta; Judith (Allen) Fethe, Knoxville; three grandsons: Justin (Leanne) Balsam, Jeffrey (Kelly) Balsam, and Bo Fethe; one granddaughter, Allison (Aaron) Fethe Jackson; great grandchildren: Chloe Balsam, Jeffrey Balsam Jr, George Balsam; and godson, Hugh Griffith Garner, nephews, Richard Seymour, Jerry Sims Jr, David Sims, Stephen Sims, Richard Brown, nieces, Donna Seymour, Ann Seymour, Carolyn Sims, Diane Haynes Whittaker, Diane Hoey, Barbara Wimpee. Funeral services will be on Thursday, Dec. 6, at 1 p.m. at Kate Lyle Chapel, First-Centenary UMC, 419 McCallie Ave., Chattanooga, with Dr. Mark Gooden officiating. The family will receive friends beginning at 11:30 a.m. at the church. Internment in the Chattanooga National Cemetery immediately following the service. In lieu of flowers, memorial contributions may be made to First-Centenary United Methodist Church or to a favorite charity. Arrangements are under the care of Chattanooga Funeral Home Crematory and Florist East Chapel, 404 South Moore Road, East Ridge, Tn. 37412. Please share your thoughts and memories at www.ChattanoogaEastChapel.com.